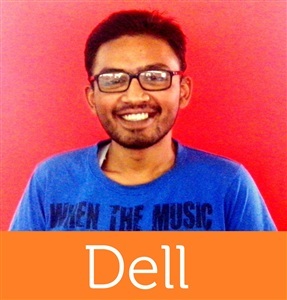 I am a dell laptop user for quite some time. I used to have a Dell Studio 1550 laptop with Windows 7. It had a interesting audio feature; I could set 2 volume level in the OS, one for speaker and another for headphones. When I used to plug in the headphone it used to automatically adjust the volume to the level which I had previously set when I was using the headphone last time. I loved this feature because usually laptop speaker aren't that loud so we need to keep the volume to the max but when on headphone we need to keep the volume to lower level. This feature was like magic, whenever I used to plug-in the headphone volume was automatically adjusted to correct level. 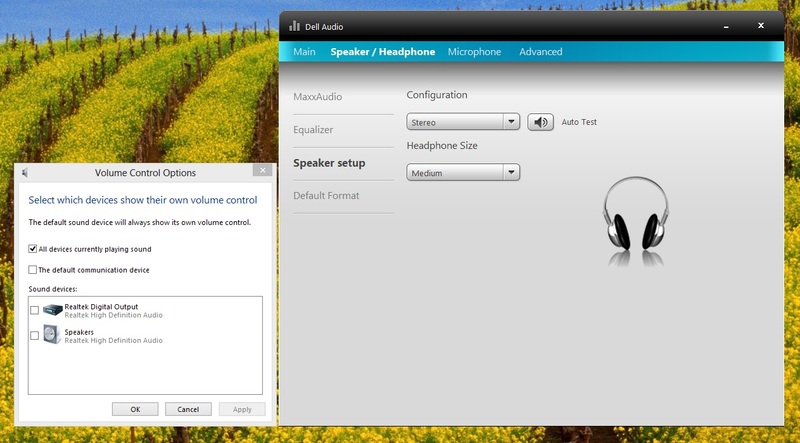 I am not sure if this was Windows 7 feature or Audio Driver Feature or Dell Audio HW feature. Now, I own a Dell XPS laptop with Windows 8 but this feature is missing for it. Everytime I plug-in the headphone I have to manually lower the volume. I miss this feature badly. Did someone else also observe the same behavior? On the ‘Desktop Mode’ screen right click on the ‘Volume’ icon at the bottom right hand corner. If the ‘Headphones’ option is available there, try to adjust the headphone volume from this option. Then switch between headphones and internal speakers and check whether the volume is getting adjusted automatically. Hope this helps. Please revert for any further information. I couldn't find the 'Headphones' as listed device under 'Volume Control Options'. Dell Audio Panel could detect that I have plugged-in the headphone but somehow it does not propogate the indication to the OS Audio Control Panel. After re-installing the drivers, you can right click on ‘Volume’ icon at the bottom right hand corner and click ‘Playback Devices’. Connect the headphone and check if it’s listed. I have the same issue with my Dell Precision m3800 running Windows 8.1. It looks like the issue is the Dell Sound Manager Audio software. Installing it breaks the Windows functionality of having different audio devices listed separately. No configuration is possible to fix the issue - the only solution is to uninstall the Dell software and just use Windows to manage your audio features.